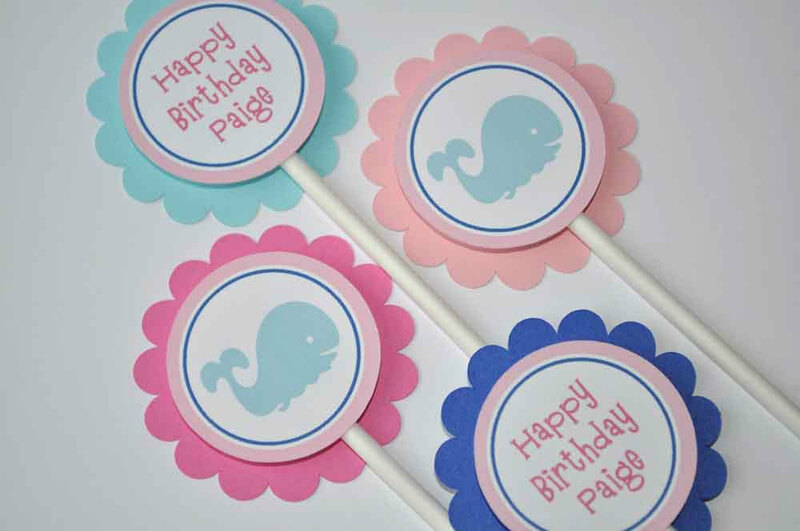 Celebrate your little girl’s birthday with this adorable whale theme banner. 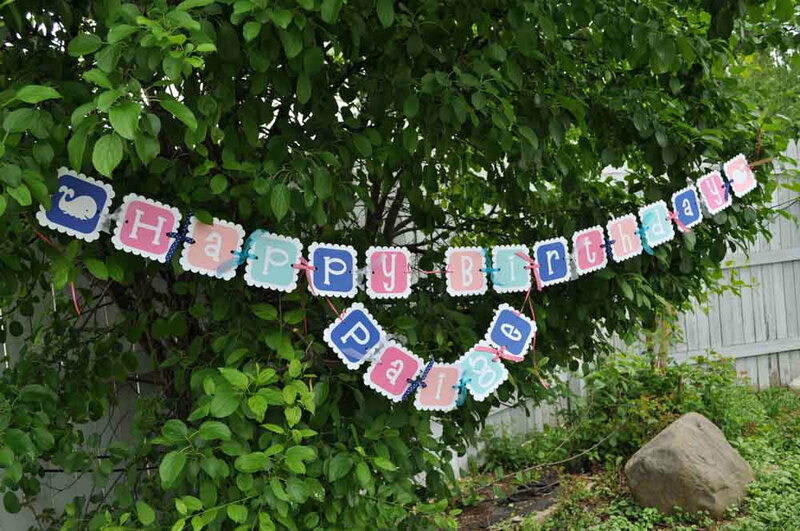 Personalized with the birthday girl’s name and a whale on both ends of the banner. 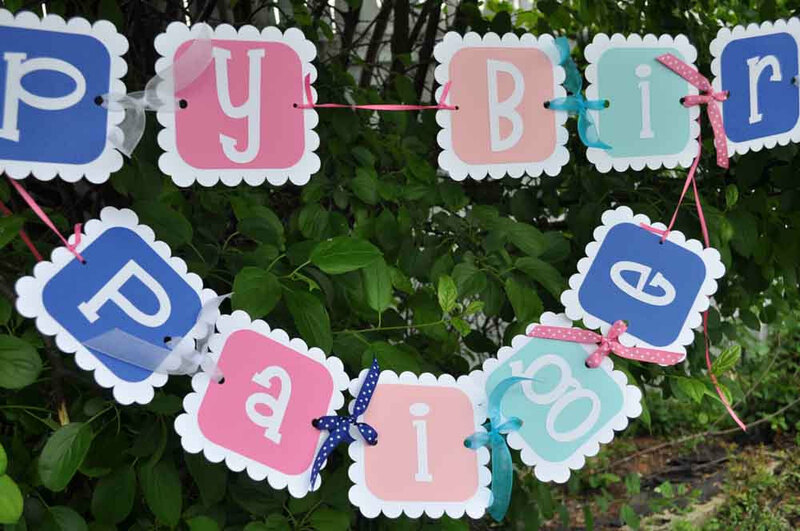 Colors are blue, light blue, pink, light pink and white. 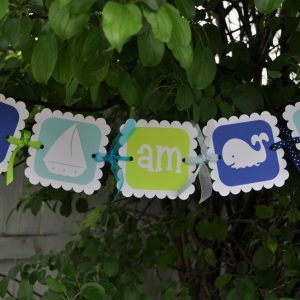 Each scalloped square is 4-1/4" and is constructed of three layers of die cut card stock. 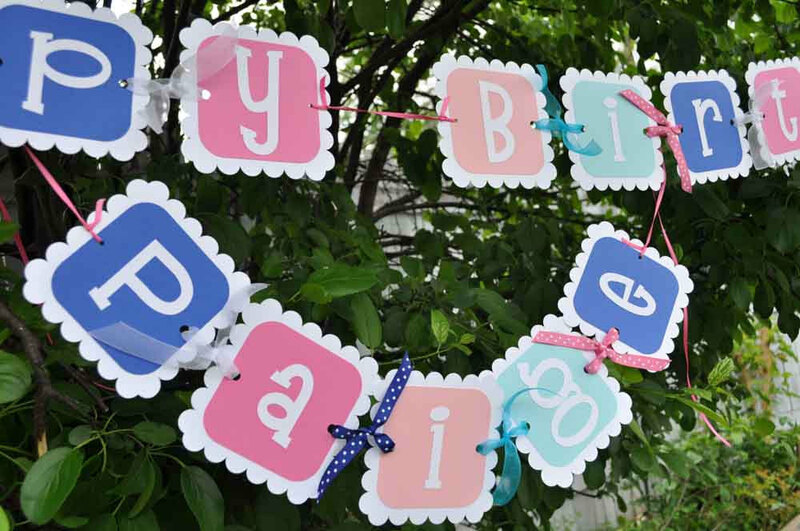 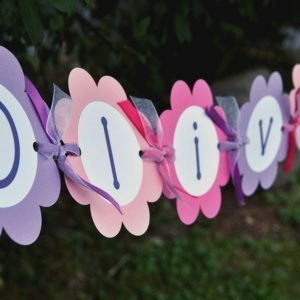 Coordinating ribbon ties each letter together. 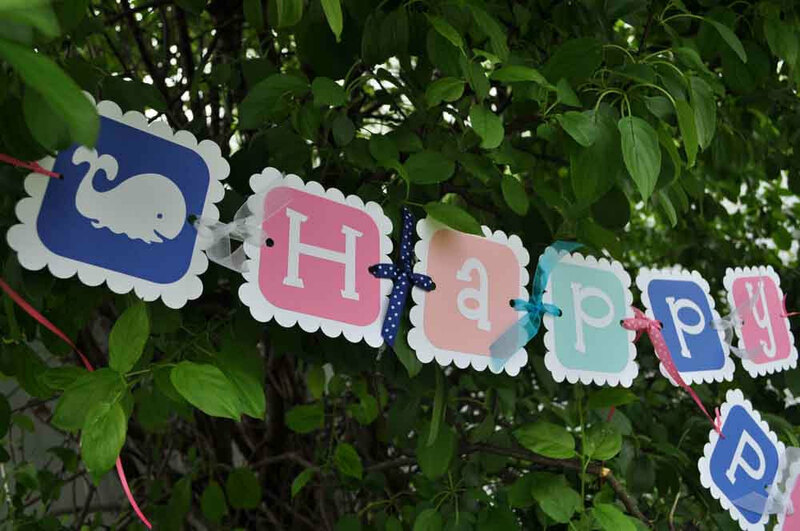 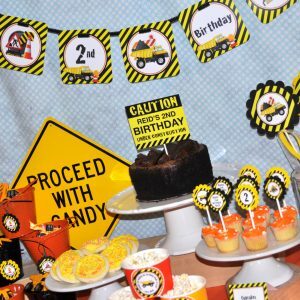 Love the banner I ordered; it is just adorable and I know we will hang it up year after year!